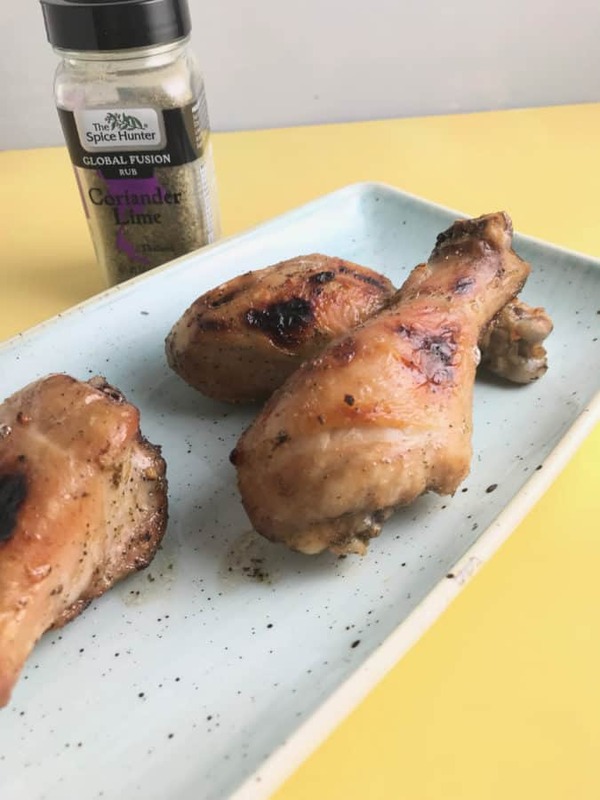 This Coriander and Lime rub is made with garlic, coriander, sea salt, onion, lime, cilantro, sugar, cumin, and jalapeno pepper. If you follow me on Instagram and see my stories I have been having fun in the kitchen lately especially with sous-viding. When I worked in the industry the application of sous-viding was popular in one restaurant I worked at in Palm Beach, Florida and we sous-vide our meats, fish, and lobster. Now, this technology is available for home use and I love it! When I buy chicken, I will buy a whole chicken and butcher it. I separate it into wings, breast, thighs, and drumsticks. I chose this recipe with drumsticks because I don’t really use them unless it is for fried chicken and my freezer is full! I will use the bones to make stock. 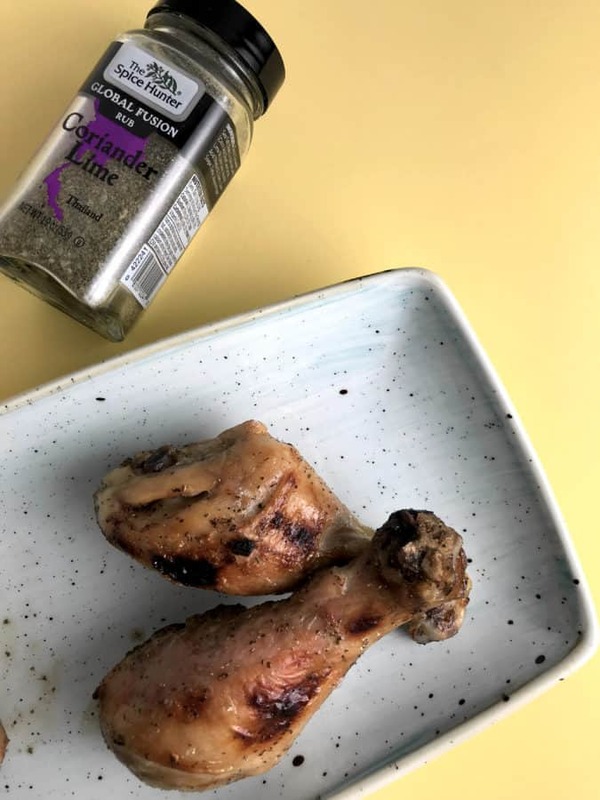 These Crispy Sous-Vide Chicken Drumsticks take two hours to cook with an immersion circulator setup and then right after they are cooked they are broiled till the skin becomes golden. Crispy skin on the outside, tender and juicy on the inside! Heat your immersion circulator to 155°F complete with the water bath set up. Place drumsticks in sous vide bags and season with salt, sugar, rub, and oil. Cook the drumsticks for 2 hours. Remove the cooked chicken drumsticks from the bags and place on a cookie sheet or oven-safe dish. Broil the drumsticks on high until golden brown. Such a great way to cook them up! That’s awesome! This spice rub is really good. We have a sous vide and have only used it once. I’ve saved this recipe so we can try it! Yeah, that’s awesome!! Thank you! No protein in the nutrition facts?